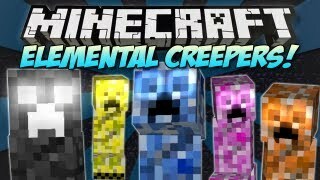 Elemental Creepers Mod provides you with various other creepers that will make the game way more frustrating for you rather than normal creepers that just simply exploding and destroying all the things you worked hard on. Here are all the recipes for spawn eggs, but I?m not going to tell you which creepers they spawn. See if you can guess them all (some are obvious, some are not). Creates a large brown ?monument? Tameable like wolves. Feed it gunpowder to tame, feed it flowers to heal. Right-click with an empty hand to make him stay. 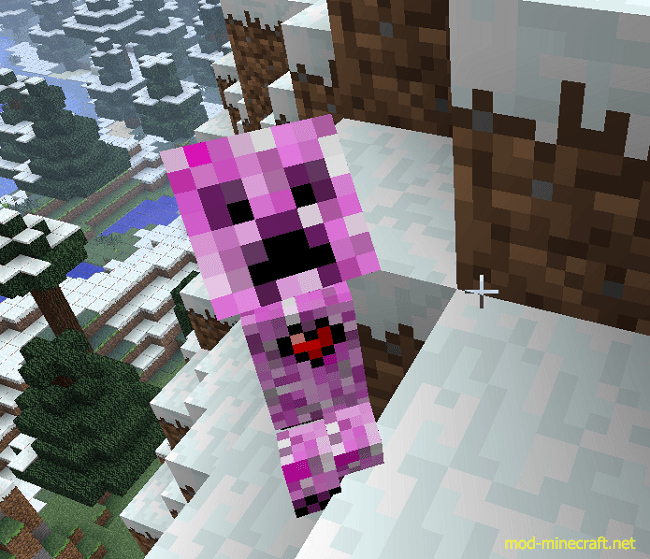 When tamed this creeper gets a heart on it?s chest and follows you around. When close enough to monsters, he creates mini explosions which don?t hurt him or you or destroy blocks. When close to player splits into 5 creepers all identical, only 1 will explode. Same as earth creeper but with glowstone. Destroys everything with fairly high light value in it?s radius. Flips the blocks in it?s radius (ones on bottom go to top, ones on top go to bottom). Put Elemental Creepers Mod zip file into your /.minecraft/mods folder. Do not unzip it. If you wish to change various things with the creepers, you can find a properties file in %AppData%/.minecraft/config called mod_ElementalCreepers. It contains options for just about everything in the mod, all the creeper spawn rates, radius of effect where applicable, power where applicable and the chance of ghost creepers spawning after killing another creeper.